The movie is set in the cities of Johannesburg and Harare, where two twin brothers living separate lives are brought back together by adversity. This action-packed film depicts the lifestyle of deceit, corruption, wealth, and loyalty in the two cities. The twin brothers find themselves on the wrong side of a gangster where their obligations are tested as they fight to honor their loved ones. The main character is forced to make a decision to save his dying wife or go against his beliefs. Silence Charumbira,The Gentleman Nominated For International Film Award. 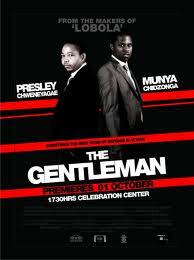 The Gentleman (Movie Website).